You never really “know” people or what they are thinking. So it’s easy to be amazed, when you find out new facts about someone. I was blown away the other day after finally reaching Chad Anderson. My calls for a week were not returned, and I hoped this new business acquaintance was okay. 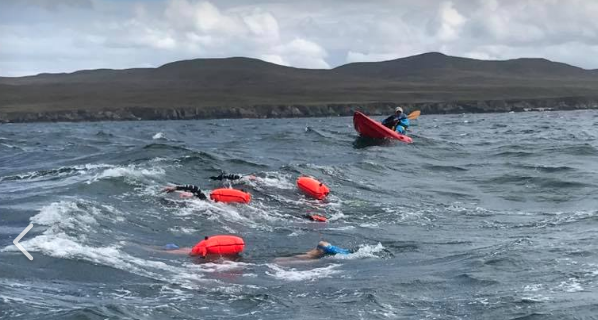 He calmly informed me that he had been unable to call back, because he was swimming around the wild coast of the Isle of Islay, one of the Inner Hebrides islands of western Scotland. 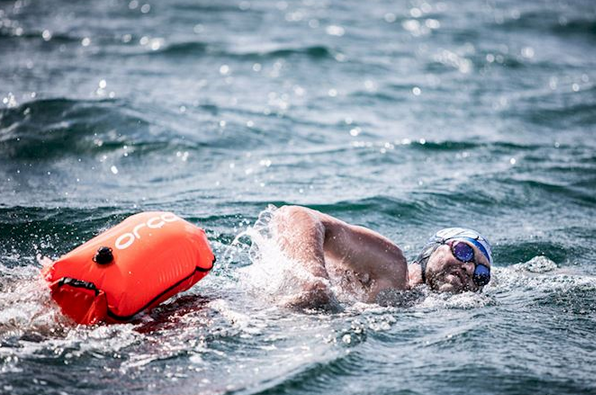 This was a 100 kilometer swim (62 miles), and it took him and two other adventurers seven days to become the first hardy guys to achieve this distinction. I have spent two weeks myself in the Outer Hebrides islands, and visited Scotland a number of times. So I can easily imagine how rough those seas and shores are. Plus the weather isn’t ever sunny like a Caribbean paradise. Islay has the Atlantic Ocean to its west and is as far north as Newfoundland. It’s often cold, windy and rainy. This swim sounds daunting. If you check out some of the videos on this facebook link, you will be blown away (literally) by what you see and hear. There is also an article that describes benefits to a local charity. 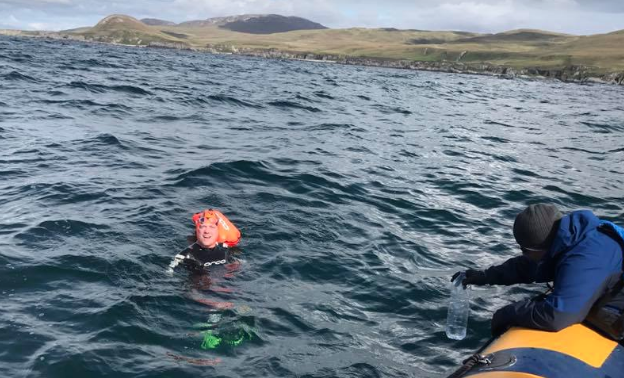 There are eight whiskey distilleries on the island, and as the swimmers passed nearby, each distillery contributed some spirits to a single oak cask that will marry the blend for months until it’s bottled and sold. 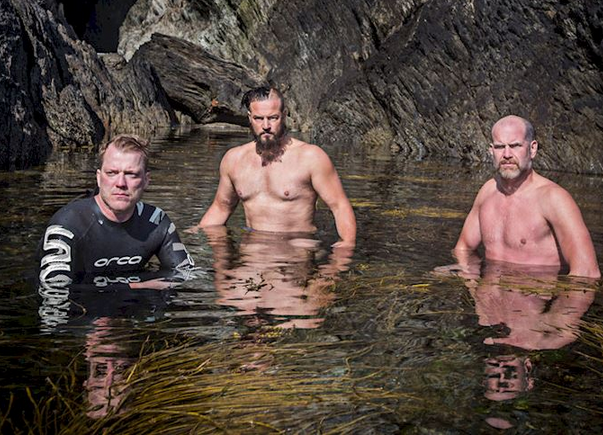 Some of the proceeds will go to the Royal National Lifeboat Institute. Ok stage 5 was a 4 hr gamble, the forecast for tomorrow was not good at all 35 mph westerly left the north stage of the journey (a key part) not being possible, BUT there was a wee wee window of 4 hrs late this afternoon, yes a big gamble but the boys agreed to give it a go with the help of Peter and Steve in the canoe and Harold on the boat. 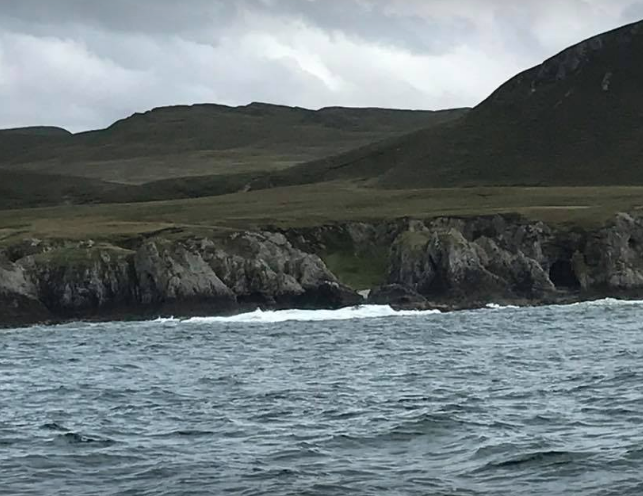 The guys set off south of Nave island, and as the weather had it, we had a weather window. the swell was 12 ft the tide 2 knots with the wind and tide going the same way, the boys nailed it. I must admit I have the utmost respect for all 3 of them. they are true athletes and have earned the respect of doing this challenge. A cracking day and well done lads.